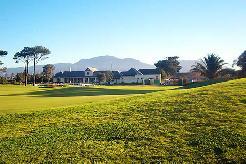 Atlantic Beach Golf Estate is situated in Melkbosstrand along the coast north of Cape Town. 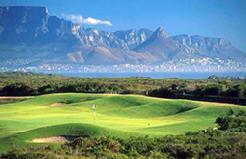 Enjoy this Championship Links Golf Course with its traditional style and ocean breeze. On calm days you can play your normal loft shot but when the wind gets strong you will need to play low running shots beneath the wind. 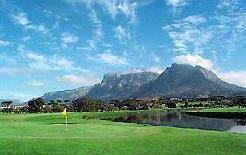 It is a difficult course to play in a strong south westerly wind but a challenge the good golfer will enjoy. 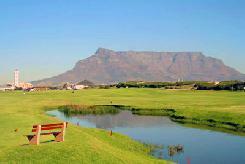 Atlantic Beach Golf Links has been built with a serious commitment to the preservation of the indigenous fauna and flora. Visitors are requested to respect this effort by helping to protect the native plants, birds and animals. 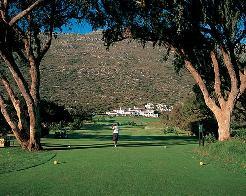 The Club requests that you observe the post and rail fencing demarcating the environmentally sensitive areas. The combination of good golf in unsurpassed natural surroundings makes Atlantic Beach Golf Links a unique golfing experience. Situated along the shore of Table Bay, Atlantic Beach is an easy twenty minute drive along the coast to the heart of South Africa's premier city. 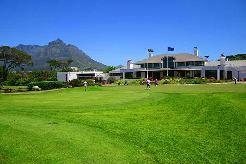 Atlantic Beach Golf Club is far more than a beautiful estate with a Championship links golf course and a state-of-the-art R18 million Clubhouse. 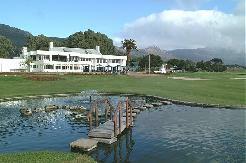 It has been structured to be a "Club" - a haven of refuge and a "Home-away-from-Home" for members and guests. No Handicap is required unless entering a competition. Soft spikes required on the golf course.